It’s still quite slow even on my system. I should switch to Chrome again one of these days. 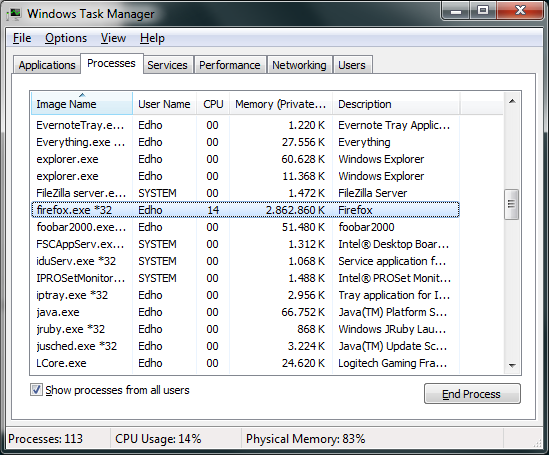 I don’t even use Firefox anymore apart of on this specific system. Oh and Flash also crashes every other minutes in this browser. Last week I posted about my random project which involves modernizing moebooru without doing complete rewrite (see this for yet another complete rewrite attempt). Upgrade to Ruby 1.9: done, need testing. Update all plugins: mostly done, can use some trimming. Migrate to Bundler: done, not sure how to test. And more! : I hope you didn’t expect me to do more while there are incomplete items above. Sure looks good. Need more testing though. There’s also one part which I totally had no idea why should be changed when upgrading to 1.9. Just grep for FIXME to see which it is and hopefully fix it up for me (or explain what it does). As usual, having completed the work for today, live demo is up and open for everyone to break (…if there’s anyone, that is). WARNING: using method below will lock yourself out when using emergency console since whatever crypt it’s using surely doesn’t understand bcrypt (as I experienced myself). Additionally, this solution won’t add bcrypt support to other applications using crypt interface like proftpd unless it’s started by preloading libxcrypt.so first (also from my own experience). As much as Drepper want to pretend bcrypt is wrong solution, it actually gives one benefit: ease of switch to Linux. Some systems use bcrypt by default or configurable to use it. On other case, there might be time where you need system’s (or applications using system’s) crypt to handle bcrypt passwords from external system (usually web applications). It’s quite difficult to enable bcrypt support in RHEL based distro as there is no libxcrypt and pam_unix2 packages available. Thankfully it’s available in Debian (and derivatives) in package libpam-unix2. Then execute pam-auth-update, select Unix2 authentication and deselect Unix authentication. Don’t forget to update passwords for all other users as well or they won’t be able to login since pam_unix2 doesn’t recognize sha based hashes. Actually, change all other users password to use md5 first before replacing the PAM with pam_unix2. Update 2012-04-01: Removed nullok_secure since it isn’t supported. Don’t get tricked by the “release” system. Apart of the base system, FreeBSD perfectly qualifies as rolling release. I guess it’s also why the binary package management sucked so badly. You won’t find how to upgrade certain packages using binary method in their Ports’ UPDATING page. libarchive has been updated to version 3.0.3, with a shared library bump. This requires dependent ports to be rebuilt. You would think the dependent packages got version bump to ensure their proper dependency – but they didn’t. Instead you had to recompile everything depending on it. Of course, ArchLinux kind of managed to do it but that’s a purely binary rolling release Linux distro. The maintainer worked hard to ensure such kind of thing get handled properly by all their users which mostly use binary packages. FreeBSD on other hand tried to claim capable of both but it really isn’t (unless I missed something). I’m not sure which sound cards are exhibiting this problem but at least it is in my system (onboard Realtek HD – Intel DH61BE motherboard running Windows 7 x64). It’s been annoying me since like forever and finally tonight I decided to actually solve the problem. As it turns out, the solution is quite simple: disable PC Beep channel. A quick google showed this hit quite a bit of people and apparently this is the reason (or at least related). On related note, apparently I’ve did this before and then completely forgotten. This is why I wrote it this time. Indonesian edition of manga is awfully small, printed on cheap paper and cost about single lunch. 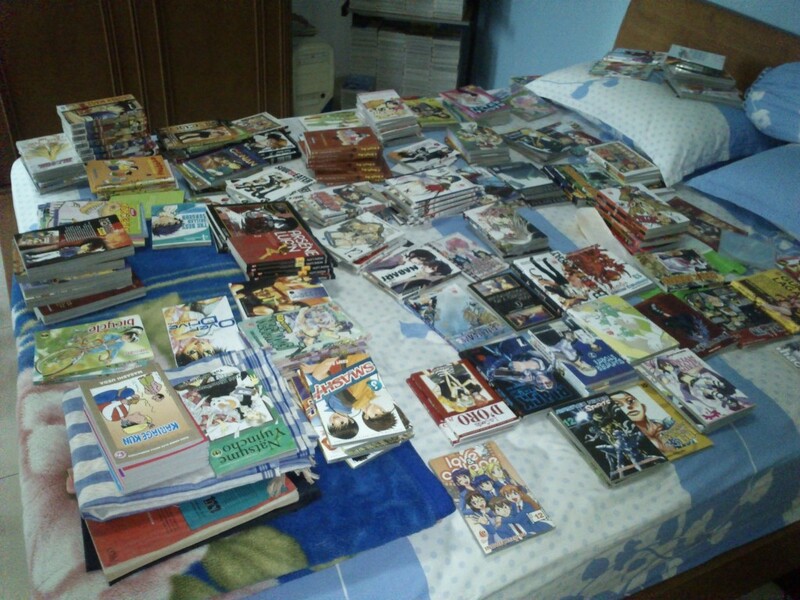 If my data is correct, I have collected at least 1700 volumes consisted of about 170 titles. If you didn’t know, the current moebooru running on oreno.imouto is using ancient version of many things. It also uses a custom lighty module (mod_zipfile) which doesn’t seem to be available anywhere. I’ve updated it with latest Rails 2.x and made it compatible with nginx. Mostly. You can see it running here. Use RMagick instead of custom ruby-gd plugin. Use RMagick instead of calling jhead binary. We’ll see if I can actually finish this one. Grab the source here. Yeah, I’m using Mercurial for a Rails project. It should cover most text-based content one will ever serve over the web. Probably. Apparently I forgot to restore original header when migrating the site. 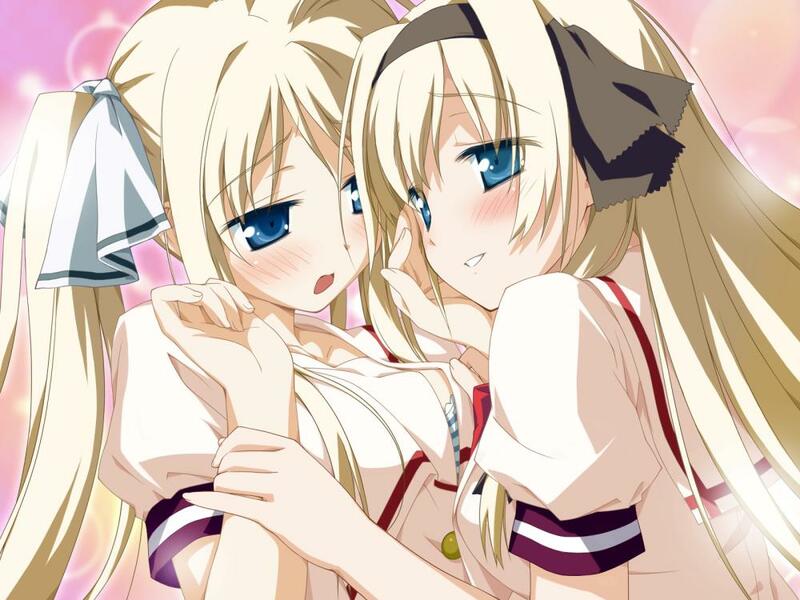 I decided to get a new header – an awesome (yuri) (ero)game cg from Hoshizora no Memoria.